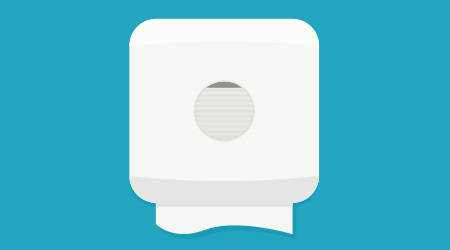 Every facility cleaning manager wants to maximize efficiency in the workplace. They also want to safeguard against possible accidents or breaches of health and safety regulations. To do that, managers must pay attention to the impact that unsafe walkways can have on a business and on its employees. Departments that embrace walkway safety as a value, and implement floor safety programs, tend to have fewer slips, trips and falls. This is important because any reduction in accidents directly improves a company’s bottom line. Cleaner floors are safer floors, so every good walkway safety program must include a protocol for consistent and effective cleaning practices. Slips, trips and falls in the workplace are very costly in terms of monetary impact, reduced worker productivity, lower morale, worker injuries and even deaths. • Fall fatalities are almost equally divided between men and women. However, more women will experience a slip-and-fall accident, according to the Bureau of Labor Statistics (BLS). • Compensation and medical costs associated with employee slip-and-fall accidents are approximately $70 billion annually, according to National Safety Council Injury Facts, 2003 Edition. • Retail stores and supermarkets spend upward of $450 million, annually, to defend against slip and fall claims (NSFI). 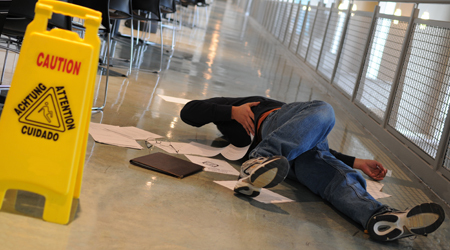 So what can be done to reduce the risk of slips, trips and falls in the workplace? Many flooring and walkway experts agree that proper cleaning and maintenance is the most important and impactful strategy that can be done to reduce the risk of such accidents.